Atypical Myopathy (AM) is a fatal disease affecting the muscles of horses. Cases have been significantly on the rise over the last six years, not just in the UK but throughout Europe. The disease is most commonly seen in horses at grass, predominantly affecting youngsters, or horses over twenty years old, but horses of all ages are susceptible. AM is most commonly seen in Autumn, although there have been reported cases in the Spring time as well. Myopathy diseases in horses result in damage to the muscle tissue and cause significant muscular pain in affected animals. Unlike ‘tying up’, there is no strenuous activity involved with this myopathy. It is seen in horses kept at pasture in particular wooded areas, or areas with large quantities of dead leaves on the ground. It is caused by horses ingesting the seeds of trees belonging to the Acer family, which include the sycamore and the box elder. It is the toxin hypoglycin A found in these seeds which causes severe degeneration of fibre 1 type muscles (postural muscles). 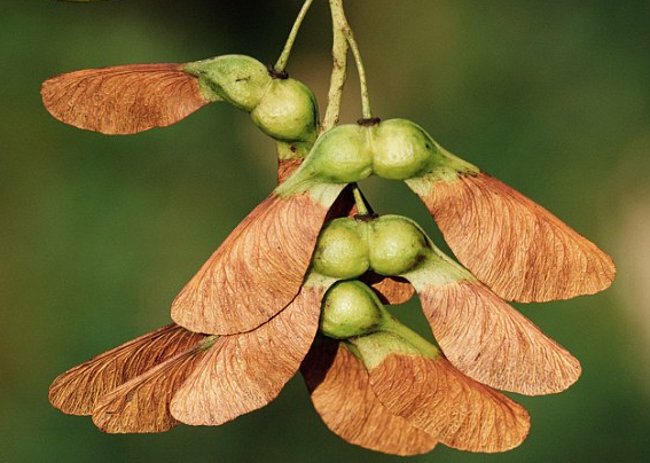 The sycamore seeds are the ‘helicopter’ seeds frequently seen in autumn. The onset of this disease can be sudden and without warning. Please contact your vet immediately if you are concerned about your horse. Often the disease will present as an outbreak with horses of the same field being affected. Should you suspect AM in your horse or herd you must seek IMMEDIATE veterinary attention. Your vet can diagnose this disease with a blood test or a urine test. Unfortunately once clinical signs are present, your vet can only administer immediate supportive therapy. However, the chances of horses surviving this disease are very poor, around 10-20%. Euthanasia may be the most appropriate course of action. Do not hesitate to get in touch with your vet if you are concerned about the presence of a sycamore tree in your fields, or would like any more info on this disease.